Sue and her family have lived in Maitland, Florida for 26 years. Sue founded First Florida Lending, on Park Avenue in Winter Park, in 1995 after a long and successful career as the Regional Vice President of Chase Manhattan Bank. Sue's husband, Gene, is a dentist in College Park where his father started the family practice. Sue married the Orlando native in 1983, they have 3 lovely daughters, Andrea, Ashley and Alexis. Andrea and Ashley are graduates of Rollins College and Alexis is currently attending UCF. Sue's expertise is jumbo mortgage lending. She is known for finding creative solutions to assist her clients with buying, building or refinancing the home of their dreams hat fit their lifestyle and budget. Sue and her team of experts provide world class service and communication with a proven track record of successful loan approvals. 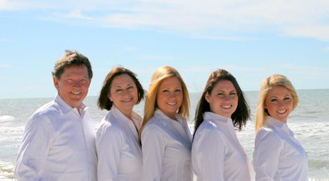 First Florida Lending is a privately held, licensed lender specializing in "Jumbo" mortgages. We offer a wide array of creative solutions including residential, conventional, FHA, VA, jumbo, jumbo VA, commercial, relocation and house equity loans to meet your needs. 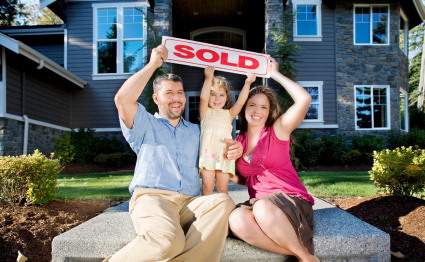 At First Florida Lending we believe that the process of obtaining a mortgage should be streamlined and hassle free. We are experts, and our knowledge, experience, and network of options and resources allows us to design programs to meet your needs. We know your time is valuable, so our goal is to make your experience simple, efficient, and seamless. We use our years of experience and comprehensive network of lenders to get you where you want to be. Our expertise and commitment to personalized service is reflected in our ability to consistently offer the most innovative and competitively priced mortgage products in the industry. Unlike most mortgage companies, we feel strongly that the best way to provide you with the right loan product you need and the customized service that you expect is by connecting you directly with one of our expert mortgage specialists. You'll enjoy the confidence of working directly with a seasoned mortgage professional - not an "order taker". In this way we are able to provide the most professional and hassle-free mortgage approval for you - from introduction through closing. We're in it for the long run, and we will always be there for you. That's the First Florida Lending Advantage! Call today for a complimentary consultation and let the First Florida Lending Advantage start working for you! Park Avenue Lending, LLC. dba First Florida Lending. First Florida Lending is a registered trademark and can not be used without permission. Website hosting provided by JB Computer Services, Inc.